Associated Press/Virginia Mayo; Nicolas Asfouri – Pool/GettyA composite image of Saudi journalist Jamal Khashoggi and Saudi Crown Prince Mohammed bin Salman. Khashoggi’s death has led to a crisis in US-Saudi relations. There are bipartisan calls in Congress for sanctions to be leveled against Saudi Arabia and for the US to cease arms sales. Months before he was killed, Saudi journalist Jamal Khashoggi made an ominous prediction about the US and its relationship with Crown Prince Mohammed bin Salman, also known as MBS. That “crisis” has perhaps emerged in the form of Khashoggi’s troubling death, which occurred at the Saudi consulate in Istanbul earlier this month. The crown prince, already a controversial leader in relation to his crackdowns on dissent and the Saudi role in the war in Yemen, is suspected of orchestrating Khashoggi’s killing. Khashoggi’s interview with Newsweek was not published until after his death partially because he’d warned the author, Rula Jebreal, that he feared for his life. The Saudi journalist was often critical of the Saudi government and in 2017 left his native country after being barred from writing by the Saudi royal family. After Khashoggi disappeared, Saudi Arabia denied involvement for nearly three weeks. Last Friday, the Saudi government finally acknowledged what was widely suspected: Khashoggi is dead. 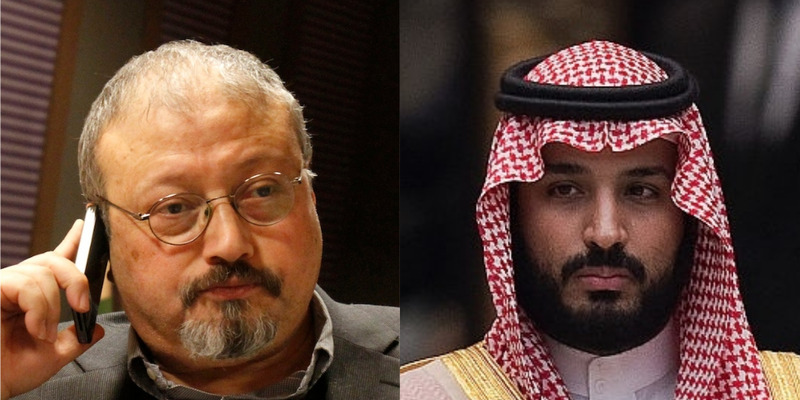 The Saudis claimed Khashoggi died in a fistfight as part of a rogue operation, maintaining that MBS had no prior knowledge of the incident. This narrative has been met with a great deal of scepticism and was directly contradicted by Turkish President RecepTayyip Erdogan on Tuesday when he said Khashoggi’s killing was premeditated. President Donald Trump largely stood by the Saudis as they continued to issue denials regarding Khashoggi’s fate,. Trump has expressed some doubts about the Saudi narrative, however, and on Tuesday described Khashoggi’s killing as the “worst” cover-up in history. Trump has not implicated the crown prince or the royal family in the death of the Saudi journalist. But the incident has put major strains on the US-Saudi relationship and led to bipartisan calls in Congress for sanctions and a cessation of arms sales. Trump on Tuesday said he’d leave any ramifications against the Saudis for Khashoggi’s death up to Congress.